Our Top Rated Pros, Backed By Our Top Warranty! Reliable Babysitter? WetCrow.com Got It! Parents all over the world rely on WetCrow.com to find vetted and background checked babysitters, whether for 1 evening, or on a regular schedule. 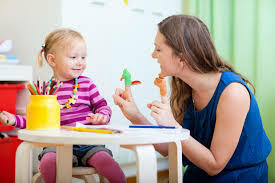 No matter when you need a babysitter for your kids, WetCrow.com is there for you. WetCrow.com can take care of all payroll issues, interviews, background checks, plus feedback from parents, just like you. We have training programs to make sure your babysitter can handle any situation. We also recommend having a web cam device that lets you access your home from your smart phone. We can help you with that. Your child is off from school and your current babysitter called out sick or is in school. WetCrow.com can provide you with a vetted babysitter, in an emergency that has been rate by one of your neighbors. You may not afford to lose a day from work. You may be warned by your boss that you will lose your job if your fail to show up for work today. Let WetCrow.com take the stress off your shoulders and get you a babysitter on the fly that is vetted and reliable. Once you use us, you will never go anywere else for ANY service you use. How WetCrow.com Works For You! Within a few minutes, in most cases, we will introduce you to several interested professionals near you. You will be able to compare profiles, reviews, and quotations on your request. When you are ready, pick the professional you wish to work with. It is that easy! © Copyright © 2019 by WetCrow.com. All Rights Reserved.